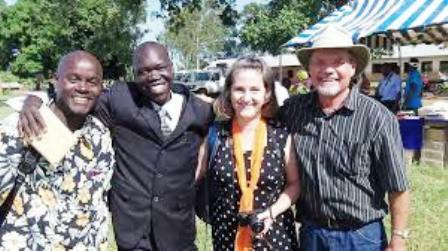 Who are the Aringa People in Uganda? 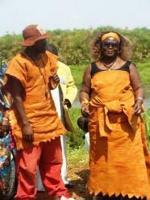 Aringa is an ethnic group in the northwestern corner of Uganda, north of Lake Albert. 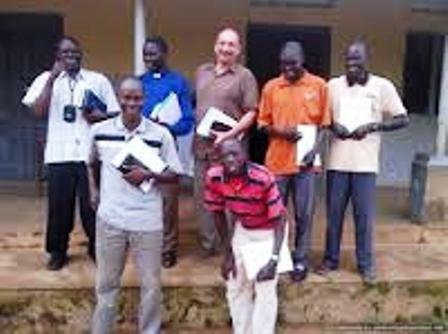 The majority live in the rural areas of Yumbe District just south of theSudanese border, and to a lesser extent in other areas of West Nile sub-region. They are considered the indigenous people of their lands, which was later settled by so-called "Nubians".They speak Aringa language, a Central Sudanic language. Aringa, like the neighboring Kakwa people were blamed by other groups in Uganda for doing Idi Amin's "dirty work" in the 1970s. Idi Amin was a Kakwa and his vice president Mustafa Adrisi an Aringa. After the Uganda-Tanzania War and the demise of Idi Amin's regime in 1979, Aringa were persecuted by the joint Uganda National Liberation Army (UNLA) and Tanzania People's Defence Force, leading them to scatter, some to Congo (DRC), some to Sudan, and the rest throughout Uganda. Until they began drifting back to their villages eight or ten years later, Aringa county was almost completely depopulated. When the Tanzanian occupying forces were replaced by UNLA during 1980, the UNLA engaged in brutal reprisals against the local civilian population, who were considered supporters of ex-Amin forces. In late 1980, guerrillas consisting of former Amin forces invaded from southern Sudan and forced some UNLA units out of the West Nile region. They included Uganda National Rescue Front (UNRF), based principally among the Aringa people, and the Former Uganda National Army(FUNA), based mainly among the Kakwa. This led the UNLA to engage in further reprisals, large-scale destruction of property and massacres in both Arua andMoyo, leading as many as 500,000 West Nile civilians, including Aringa, to flee to Sudan. Many remained in refugee camps in Sudan until the late 1980s when theNational Resistance Army (NRA) took power in Uganda. In 1987, Sudan People's Liberation Army (SPLA) rebels attacked and burned the camps, forcing the refugees to flee back to Uganda.